One of the best dips I've made in a very long time. Total effort was about an hour but SO worth it. 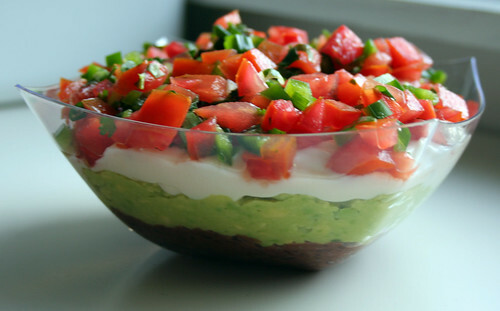 Each layer is its own flavorful contribution to the dip and could even stand on its own as an accompaniment to a Mexican dinner, salad or chili. Oh yeah, and it's low in saturated fat, too - only 4g in the entire recipe.